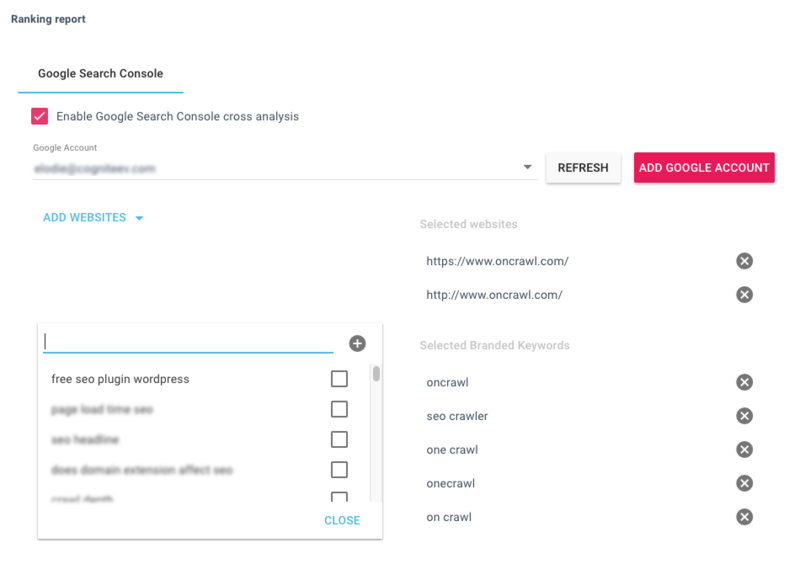 OnCrawl Rankings lets you integrate and combine your Google Search Console to your crawl report and access an additional cross-data report! With Search Console integration, you can follow your indexation rate, understand which factors positively or negatively impact your positions and impressions and monitor how crawl budget is spent regarding positions. How to set up Search Console integration? Accessing this cross-data analysis is a really simple process. Head to your project home and click sur “Add Data Sources”. Then, select “Google Search Console”. 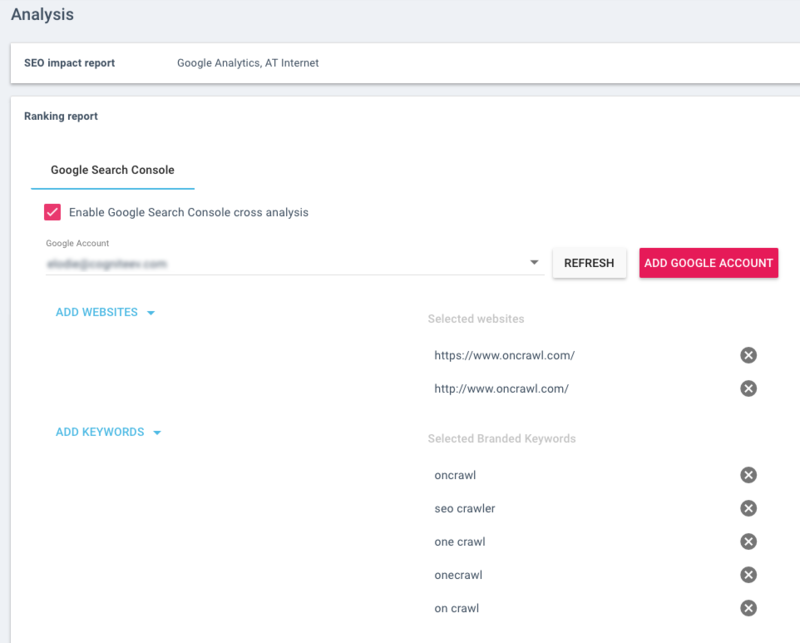 Here, you can add and connect your Google account to grant OnCrawl the access to your Search Console data. Once connected, OnCrawl Rankings will compute data on a 45-day range. Then, select “Launch a new crawl” and head to the “Ranking report” tab. Don’t forget to tick the “Enable Google Search Console cross-data analysis” box. Here, you have the opportunity to choose different views and properties for your website by clicking on “Add websites”. If you choose to add a subdomain from your Search Console that is different from your start URL, be sure to activate the “crawl subdomains parameters” when setting up your new crawl. A URL can be found in different properties. If several properties contain identical URLs, OnCrawl will only retain the last value found for a URL. You can choose to flag branding keywords using the “Selected branded keywords” area. We offer suggestions from GSC for the top 150 impression-generating keywords. Feel free to add your own keywords. By doing so, you will be able to exclude these branded-keywords during your analysis stage. Set up your other crawl settings and you are ready to launch your crawl. If you need assistance to set up OnCrawl Rankings, feel free to use the chat to contact us.